As this is my first article for the Station Pride movement, I thought it would be fun to write an article in a question and answer format. I’ll leave it open for people to ask more questions. 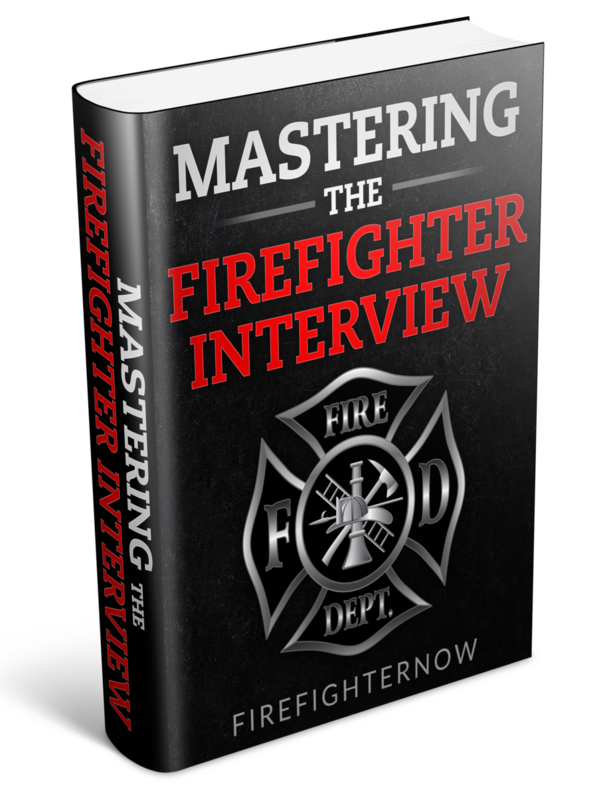 Anyone who has aspirations of becoming an instructor, working overseas in the fire service, or wanting to know more about how things are done in other parts of the world may find this interesting. Anyone who has worked as a firefighter or an instructor “ on this side of the pond”, will likely be shaking their heads, laughing and/or experience PTSD flashbacks. 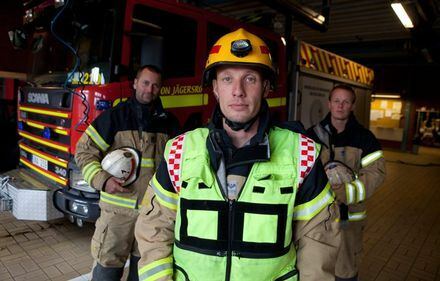 What is it like to train firefighters overseas? Instructing outside of the United States is certainly as educational for the Instructor, as it is for many students. Moving so far away from home is never easy, and leaving the majority of your own culture behind is even more difficult. 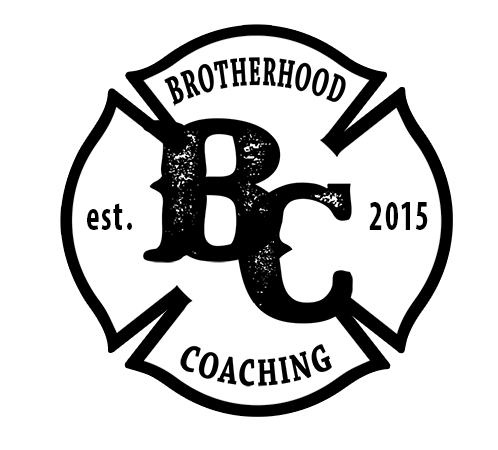 Factor in the differences in fire service culture, mindset and language or translation barriers and you’ve got a little better idea of just the tip of the proverbial iceberg regarding issues that you can run into. The issue of communication is certainly a big one. While almost all of my students here are well versed in the English language, despite coming from Qatar, Saudi Arabia, India, Bangladesh, Pakistan, Sri Lanka, Tunisia, Egypt or Morroco, their version of English, or the true comprehension of it, can be lacking. What gets fun is having guys from Canada, South Africa, Australia or the U.K. and then trying to get on the same page with them. Either way, it is rare that you find someone who doesn’t speak even the most basic English. What gets difficult is putting things in technical fire service terms and getting non-english speakers to understand it. For example: Ever had the debate with another fireman from the other side of the country about what a pike pole is called? To some, it’s exactly that, to others is called a hook. However, in South Africa it’s called a Preventor. As in, it prevents the ceiling from collapsing when you use it to remove the ceiling from above you. Imagine if you will, three firemen standing around arguing about what the name of the tool is and what it’s design is for, only to discover that it is used for the same tasks in all three countries…just called something different. We all immediately started laughing at how silly the whole thing is. Jacket vs. Tunic, Nozzle vs. Branch, Apparatus vs. Appliance, Vest vs. Tabbard. Needless to say, we all learn a lot from each other, have a few laughs and give each other a good ribbing, just to pass the time. What’s up with that “euro gear”? Without a doubt, it is nothing like anything we would use in the NFPA system. It has its benefits and its drawbacks. I’ll start at the helmet and work down. 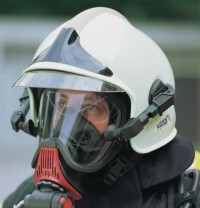 The helmet style, often referred to as a “space helmet” or “helicopter helmet” is produced by several manufacturers that include MSA, Rosenbauer and others. It is thermoplastic, like some of our NFPA helmets, but has no brim off the rear. It has a neck curtain that attaches at the bottom to help protect the neck. It also has two separate eye/face shields that stow inside the helmet. My experience with it has not been positive, as it is extremely hard to hear anything except the sound f your own voice, and it retains an incredible amount of heat inside the helmet. It should also be noted that many of our students are fascinated with our U.S. traditional style helmets, and agree that they are of a much better design. The nomex flash hoods are very similar, if not identical to ours. The bunker jacket (often referred to as a tunic) is very light weight. In fact, I own North Face jackets that are heavier. It is extremely thin, and offers minimal thermal protection and even less water resistance. The bunker pants ( referred to as trousers) is made of identical material. However, there are no pockets on the trousers, and they fit a bit like I suspect skinny jeans do on European men. The boots are actually quite good, and offer a lot of support and have an athletic quality to them. Finally, the SCBA ( referred only as a BA) is manufactured by Drager or Scott, but is to European standard. There is no gauge on the cylinder, and there is no way to tel externally if the cylinder is full, or empty. There is no integrated PASS alarm, and the external PASS systems are very quiet in comparison to even our older NFPA rated stand-alone systems. All of the buckles are thermoplastic. The cylinders are not much different in construction than ours, but there are some differe nces. All of this being said, before you find yourself shaking your head with a triumphant smile on your face that NFPA is superior to our neighbors across the pond, you have to bear some things in mind. Like their fire apparatus (referred to as a fire appliance) their PPE is constructed to mirror their tactics. Yes, contrary to popular belief that European firefighters do not make interior attacks in structure fires, they do. They just do it under a different set of guidelines than we do. And why shouldn’t they? They’ve been fighting fire for a lot longer than we have. Also keep in mind that their building construction is a lot older and heavier, and that the fuel load is of the legacy type. Something that we in the US are just beginning to understand with the help of NIST/UL. What type of fire apparatus do you use? The local fire departments use a variety of equipment, and span nearly a dozen or more manufacturers. Currently they operate Metz, Rosenbauer and Bronto aerials. 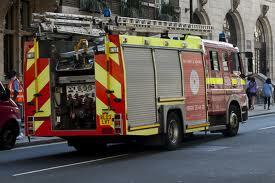 For engines they primarily use Scania or Mercedes commercial chassis with Metz, BAI or Rosenbauer boxes. ARFF is exclusively Rosenbauer Panther crash rigs. However, our training facility uses new Oshkosh Global Strikers. The ruler of the country here has mandated that all fire equipment and tactics start to convert to NFPA. It is a slow process. 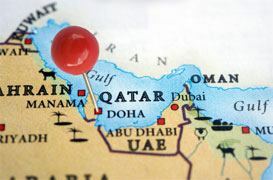 As Qatar, as well as much of the region has only had it’s independence from Britain for a relatively short period of time, it’s very difficult to get them to change over. But it is happening. Some other Arab countries are already doing it. In fact, Saudi Arabia is roughly 95% NFPA compliant as of January 2015. What are the strategy/tactics like? What our NIST and UL research has taught us in cooling the environment before making entry, is not exactly cutting edge tactics. Many European departments began doing this a long time ago. The concept of “hitting it hard from the yard” has long been the tactics of departments outside of the US. What makes the NIST/UL research unique is that it PROVES it to be beneficial with science. I know, I know. I can hear some of you groaning already. But you simply cannot argue science, provided that the scientific evidence gathering is, well, scientific. Read that word as valid or sound. What makes a lot of US firefighters groan about it, is that it’s not as “manly” or “aggressive” as how we are accustomed to doing things. We prefer to “take the hit” or “make the push” and “go for the grab”. (Insert your choice of catchy FDNY wannabe fireman speak here). Please don’t misread that last statement. Before you lose your collective minds over it, I mean no disrespect to the phrases, the FDNY or to our US fire heritage. I AM referring to the firefighters who like to simply use the catch phrases to sound more like a fireman. The bottom line is this boys and girls: it’s 2015. It’s time (and long over due ) to take a serious look at how we do things. All of my students here wonder how and why we kill as many firefighters every year in the US. 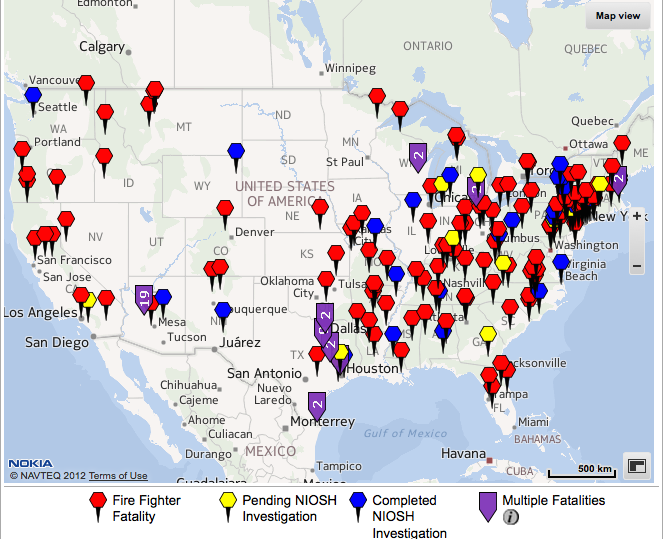 The fact is, it is truly amazing when you stack up the amount of firefighter LODD deaths from the US compared to that the rest of the global fire community. Now before you techies out there take to the internet to try to either validate or invalidate this comment, bear in mind that we have many more firefighters in the US than other countries. Statistically speaking, this is not hard to understand. But the way that we are dying at incidents (not including cardiovascular emergencies, which we all know is the highest cause) is still much higher than the global average. 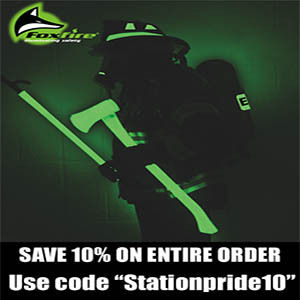 NFFF, NFA, IAFF and IAFC (among many others) have amazing and effective initiatives to help bring the average number of yearly LODD’s down from 100. We have made incredible strides in firefighter safety. But we still need to continue to take a hard look at our tactics, our PPE, and our overall effectiveness to get the job done. Notice that I didn’t say to make the job safer. I have heard too much of that my entire career, and am sick to death of it. I found myself screaming in my bunk room at Lt. Ray McCormacks FDIC speech in complete agreement. I had colleagues coming in to see what had me so worked up. I admired his courage to finally say it in a public forum! Truth be told though, we are finding that the way that we used to do it, in some circumstances, was actually the right way, even way back then. The 2 ½” line, the smooth bore nozzle, the tactics of “making that push”. But we’re also finding out the hard way, that we’ve been wrong in a lot of areas as well. And our brothers and sisters have paid for it in blood. But NFPA is really better than British Standard, Right? Here’s the bottom line: Throw 100 firemen from 20 different countries in the same room together. Assuming that they can all communicate with each other, I would bet a years salary that they would all agree that there should be only one standard for firefighters to follow. They all would agree that there are too many standards that govern equipment, apparatus, PPE and tactics. Where the fist fight would start, is determining whose system to adopt globally. We all know how stubborn firemen can be when it comes to change. And how impossibly stubborn we get when w e’re told that we have to relearn something that we learned 10 years ago…or 10 days ago. Truthfully, the British Standard way is not as crazy as it all appears. NFPA could learn a thing or two from that way of doing things. And we have. Know where the NFPA 1901 reflective chevron requirements came from? That’s’ right… departments all over the world were using this to bring higher visibility to their apparatus decades ago. That NFPA 1500 requirement to use high visibility safety vests on highway incidents? Yep… you guessed it. They’ ve been doing that across Europe for years too. So what is the best way? In my humble opinion, the Brothers (and Sisters) in South Africa, Australia, New Zealand, and other countries like Japan, Singapore and the Philippines have got it pegged. They have waded into the quagmire that one can easily find themselves in regarding these two standards, have extracted the best of both worlds, and finally used some good common sense to apply it to the areas that they serve. I am in constant amazement from these firefighters who really research what is going to be best for them. 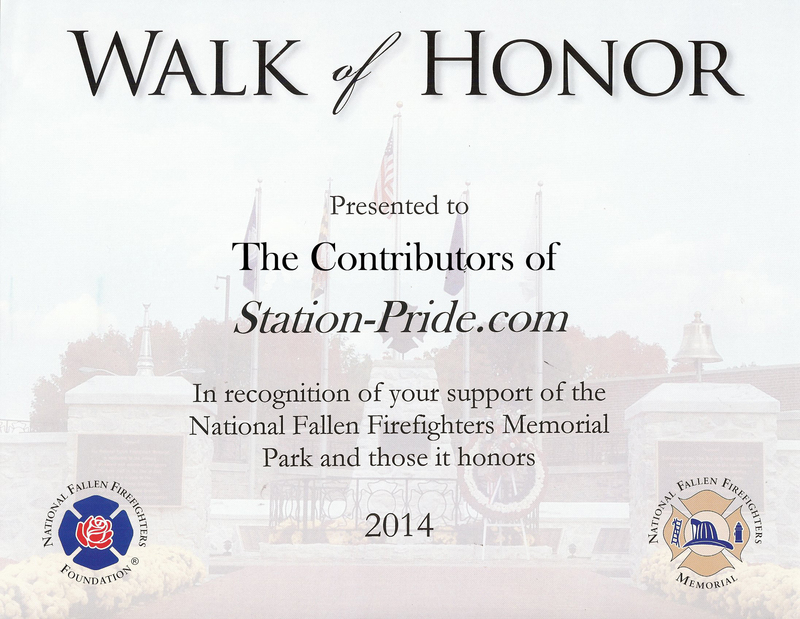 They have a healthy respect for both standards, and their respective places in fire service history. All of that being said though, the entire world is watching our NIST/UL research. No one else on the planet is conducting scientific research like this. And they are learning as much from the data and research as we are in the US. If you don’t hear Bob Dylan’s voice singing “the times, they are a changin’” then you simply aren’t paying attention. What is your biggest challenge as an instructor over there? This is sure to make for an interesting topic for my next piece, but to simplify it for now, you must understand that the fire service in many other parts of the world is not looked upon favorably. In many ways, there are a lot of similarities in how the culture here treats it’s firemen, and emergency services in general, to how the US treated it’s firemen and police officers around 120 years ago. It does give me hope, that one day, hopefully with the introduction of the NFPA system, that one day soon, the overall culture here will realize that these men should be respected for the oath that is so similar to ours in the US. So, that concludes the question and answer article. If you have any more follow up questions about any of the above, or you have new questions, feel free to post them in the comments and I’ll get to you just as soon as I can. Ken, great summary on some the differences and similarities. 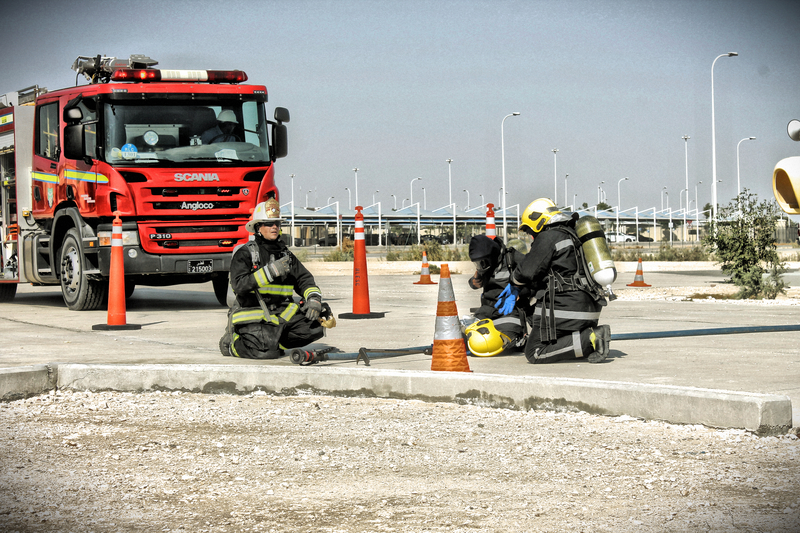 I spent some time in Iraq working with their Civil Defense, and can say that the biggest problem I saw with American firefighters was getting them to understand that the “European style of firefighting” is not inherently “wrong”. Would really enjoy discussing with you further if you like. Send me an email if interested. i am fire fighter also fire instructor in rescue emergency service 1122 pakistan from 2010 .